← Meeting report: Flowers are always a good excuse to meet! 1CSIRO Division of Plant Industry, Australia. 2Institute of Plant Science and Resources, Okayama University, Japan. Genome and transcriptome sequencing is changing plant science. Access to genome or transcriptome sequences allows genomics to be applied to biological questions directly in target species and there has been a shift of research focus from genome-sequenced model plants, such as Arabidopsis, towards non-model plants. A good example is rapidly expanding genomics research in cereal crops, where genome sequencing provides access to the genetic variation that drives crop improvement via plant breeding; variation that improves crop yield or that adapts varieties to diverse environments and disease threats. Here the challenge is to link variation in crop genomes to superior varietal performance. Amongst many polymorphisms, which ones influence crop performance? Genome sequencing alone is not enough to address this challenge and now, more than ever, genetics is the key to research advances. There has been a strong tradition of genetics in barley research. Barley is an important crop, vital for beer and whisky production, but also a diploid model for closely related hexaploid bread wheat. Barley was an early target for mutagenesis and has long been used for gene mapping. 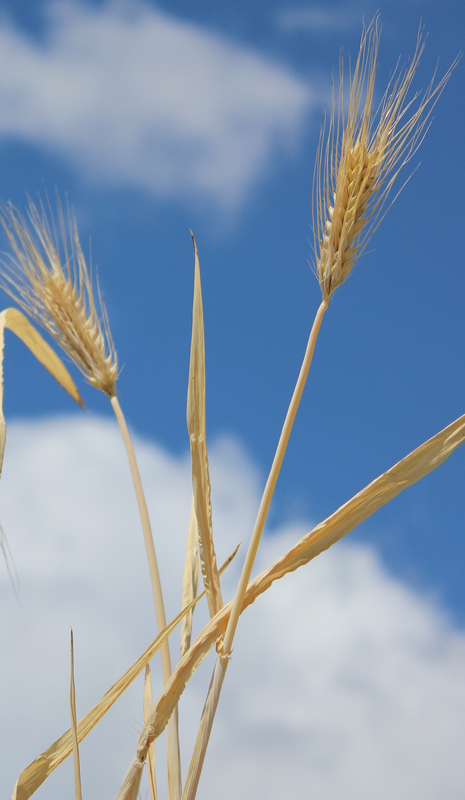 There are now a range of barley genetic resources available for genomics research, such as mutant collections or mapping populations, and there are stock centres with a wealth of natural genetic diversity collected from cultivated or wild barleys. Barley is also transformable, via Agrobacterium co-cultivation in tissue culture. This allows reverse genetics approaches to be applied to test gene function, including the possibility for gene editing or other transgenic methods, such as RNA silencing or reporter-gene fusions. Other genetic tools include doubled-haploid production systems. An early flowering barley from the Dairokkaku 1 isoline series developed by Professor Shozo Yasuda. An outstanding example of the barley genetics tradition is provided by Professor Shozo Yasuda (Okayama University, Japan). From the 1950’s until the 1970’s Yasuda investigated the genetic basis for reduced vernalization-requirement in barley. Autumn sown “winter barleys” typically flower only after prolonged cold treatment (vernalization) whereas “spring types” flower rapidly without prior cold treatment. This variation in seasonal flowering behaviour drives adaptation to different climates and sowing dates. By inter-crossing winter by spring barleys, collected from diverse regions, Yasuda and co-workers identified three genetic loci that trigger flowering without vernalization – SPRING GROWTH HABIT (Sgh) 1-3. These genes are now known as VERNALIZATION (VRN) 1-3, and have all been identified and sequenced by gene cloning (reviewed by Trevaskis et al. 2007). Yasuda also provided evidence for further more subtle variation for vernalization requirement amongst winter barleys from different regions in Asia. This variation is now the focus of ongoing research (Saisho et al. 2011). All of this research was driven by classical genetic techniques, crossing many different parents, complementation assays with test lines and by performing rudimentary mapping via linkage with other visible traits (see for example Takahashi and Yasuda 1956). The hundreds of barleys that were genotyped for spring growth habit by test crossing gives a clear indication of the massive effort involved. The research lead by Professor Yasuda continues to resonate in an era of genomics. We recently described the molecular characterisation of a series of barley isolines developed by Yasuda and co-workers (Cuesta-Marcos et al. 2015). These lines are genetically similar but differ for alleles of either VRN1, VRN2 or VRN3. The isolines were generated by many generations of recurrent backcrossing (9-11 rounds) of different spring growth-habit donors to a Japanese winter barley (cv. Dairokkaku 1). The entire process was also repeated in parallel with a second winter barley parent (cv. Hayakiso 2). This crossing was performed before gene sequences or corresponding molecular markers were available, so selection was based entirely on observations of flowering behaviour in segregating progeny. Assessment of the lines with genome-wide marker platforms shows the precision with which the lines were generated. Each contains the desired gene for spring growth habit, with nearby genes introgressed by linkage drag, but carries few other donor genes. In addition to single gene/allele contrasts the isolines set also includes combinations of the different introgressed spring growth-habit genes. For example, one line has reduced vernalization requirement via VRN1 whereas another line carries reduced vernalization requirement at both the VRN1 and VRN3 genes. The isolines generated by Yasuda and co-workers are a powerful genetic resource for studying the physiological impacts of genes that reduce vernalization requirement; contrasting alleles for each gene and the interaction between the different genes. Our recent study demonstrates the potential experimental applications of Yasuda’s lines. The lines were used for detailed physiological assessment of how genotypes with different vernalization requirements cope with freezing stress. An important outcome of these experiments was the demonstration that activation of VRN3 compromises freezing tolerance and decreases the chances of surviving winter in cold climates. VRN3 is the barley equivalent of FLOWERING LOCUS T (FT), a gene activated by long-days in leaves to trigger flowering (Yan et al. 2006). FT-like genes trigger flowering in diverse plant species and it will be interesting to test whether activation of FT also compromises freezing tolerance in other plants. There is also great potential to use the isolines for genomics research, gene expression analysis for example. Using microarray analyses we showed that, at early stages of development, a limited number of genes are differentially expressed between lines with different vernalization requirements (Cuesta-Marcos et al. 2015). These differentially expressed genes are likely to include those that actually trigger the transition to reproductive development. Consistent with this idea a number of known floral promoters were differentially expressed between the isolines. Interestingly the gene expression profiles were not identical between the VRN1, VRN2 and VRN3 isolines, supporting earlier suggestions that there are discrete differences in the way these genes trigger flowering. While the microarray analyses are a useful starting point, the real value of the lines for gene expression analysis will be achieved with transcriptome sequencing. By examining the transcriptome profiles at different stages of development and in different organs, the leaves and shoot apices for example, it will be possible to generate a deeper understanding of the pathways that trigger reproductive development and flowering in cereal crops. The close genetic relationships between the lines will allow cause and effect to be resolved – the genetic basis for different gene expression patterns is clear. The work of Yasuda and co-workers shows the long-term value of applying classical genetics to crop research, both to understand trait variation and to develop research tools. The impact of this type of research, and the resulting genetic resources, will multiply as genomics tools become more powerful and as high-resolution phenotyping platforms are developed. Perhaps the greatest challenge for future researchers is to commit to the development of genetic resources over a longer time scale while also facing the challenges of an international research environment that strives for rapid outcomes. Cuesta-MA, Muñoz-Amatriaín M, Filichkin T, Karsai I, Trevaskis B, Yasuda S, Hayes P, Sato K. (2015). The relationships between development and low temperature tolerance in barley near isogenic lines differing for flowering behavior. Plant & Cell Physiology doi: 10.1093/pcp/pcv147. Saisho D, Ishii M, Hori K, and Sato K. (2011). Natural variation of barley vernalization requirements: implication of quantitative variation of winter growth habit as an adaptive trait in East Asia. Plant & Cell Physiology (2011) 52 (5): 775-784. Takahashi R and Yasuda S. (1956). Genetic studies of spring and winter habit of growth in Barley. Berichte der Ohara Instituts für Landwirtschafliche Biologie 10:29-52. Trevaskis B, Hemming MN, Dennis ES and Peacock WJ . (2007). The molecular basis for vernalization-induced flowering in cereals. Trends in Plant Science 12(8):352-357. Yan L, Fu D, Li C, Blechl A, Tranquilli G, Bonafede M, Sanchez A, Valarik M, Yasuda S, Dubcovsky J. (2006). The wheat and barley vernalization gene VRN3 is an orthologue of FT. Proccedings of the National Academy of Science USA. 103: 19581-19586. This entry was posted in Barley, flowering, FLOWERING LOCUS T, genetic resources, Plant breeding, SPRING GROWTH HABIT, vernalization and tagged Ben Trevaskis. Bookmark the permalink.